Take your phone for a joyride. 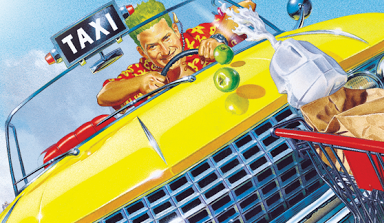 Sega's Crazy Taxi remains one of the most enjoyable racers the company has ever released, mainly due to its "go anywhere, pick up anyone" formula and its manic, over-the-top presentation. Now you can take it wherever you go. Sega announced it has released the arcade/Dreamcast hit on Android through the Google Play service. The game costs $5 and includes all the fast-paced driving of the original, complete with hundreds of customers to pick up, an upbeat soundtrack and tilt or touch controls. Sixteen mini-games are also included, such as Crazy Bowling, to test your driving skills. 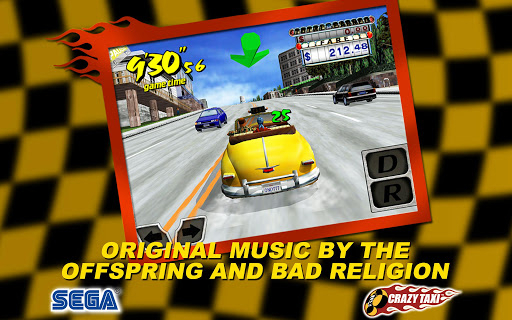 Last but not least, the original soundtrack featuring the Offspring and Bad Religion is intact. It supports all Android devices as well, so don't be afraid to give it a test drive on your tablet. Now, let's go make some crazy money.